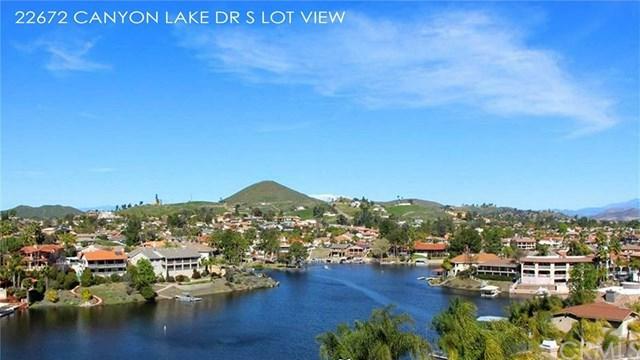 One of the few lake view lots still available in the exclusive gated community of Canyon Lake! Views of the lake, golf course, and foothills. You can even see Big Bear and Idyllwild on clear days. Close to the main gate, boat ramp, and clubhouse. 2 Sets of house plans to choose from. Build your dream home.